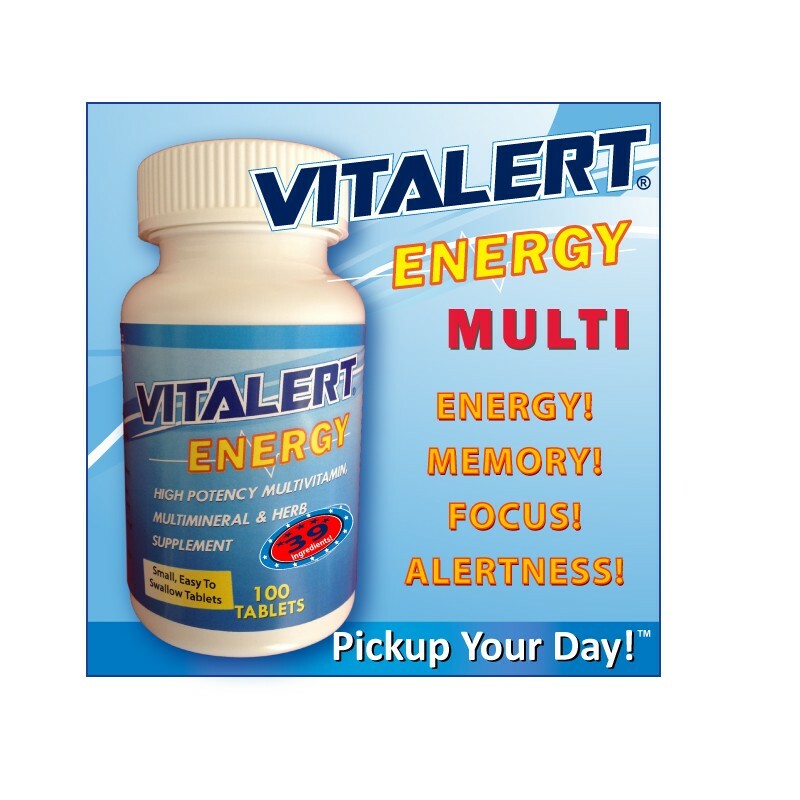 VITALERT® Energy Multivitamin, Multimineral & Herb Supplement - Same Great Formula! 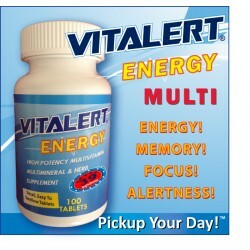 All Day ENERGY, MEMORY, and ALERTNESS! LOADED with 39 INGREDIENTS! PICKUP YOUR DAY! Manufactured in a cGMP Certified Facility located in the USA! Long Expiration Dates!